A steam locomotive is a train that gets its power by burning coal, wood or oil in a boiler. The steam that is produced by burning that material is dispersed to the train’s pistons, which are connect to the train’s main wheels. Once they get enough power - well, you know the rest. 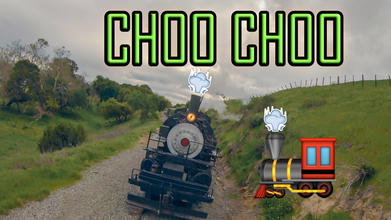 InspireFPV finds an old steam train to follow and the blend of old technology with new is a sight to see. After all, an FPV drone weighs next to nothing and is powered by the smallest of batteries; quite the contradiction to the massive machine it is speeding by!